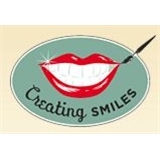 Creating Smiles Dental (Clearwater) - Book Appointment Online! At Creating Smiles Dental, our top priority is to treat each patient as an individual, to get to know them personally, and help them have healthy teeth for a lifetime. We strive to provide the same quality of service for all our patients: a caring and attentive staff, an enthusiastic manner, and dental care delivered with exceptional comfort in a friendly and warm environment. Our goal is creating beautiful, healthy smiles!